The news coverage of higher fines in South Lake Tahoe seems to suggest that the noise ordinance is unrealistic and too burdensome on visitors, and that tourists want to stay up late, party, and make lots of noise. While that may be true of some vacationers, most people go on vacation to get away from noise. In a destination like the Lake Tahoe area, visitors most likely expect to enjoy the relaxing tranquility of nature. Concerns about the $1,000 fine amount are valid. Unsuspecting or uniformed visitors, mistakenly parking incorrectly will certainly feel cheated. A graduated fine system would probably work better — where violators and rental owners pay incrementally higher fines each time there is a violation. Then for home owners, there could be a reset at the end of a season. This is actually what was passed by the City Council back in 2015. The three-strikes rule seems excessive — property owners can lose their rental privileges for life after just three violations by vacation renters. Given that the behavior of the renters is outside the control of the property owner, this seems like an arbitrarily harsh policy. A posible solution would be to have some limited areas zoned for rowdy college students on Spring Break, or loud vacationers who want to stay up late partying with the music blaring. Those living or renting in that area would be forewarned that noise can be an issue. The Lake Tahoe area serves a diverse group of people. Some seek to find peace, quiet, and tranquillity. Others see it as a premier destination for partying and getting rowdy. Others are simply residents in the area. All groups need to be considered and have their interests addressed. To learn more, visit the VHR Enforcement page on the South Lake Tahoe website where you can download an updated list of recent citations issued in the city. South Lake Tahoe Now has an article about the City Council vote in April of 2015. Rental property owners can consider technology from NoiseAware.io to monitor their property for possible noise violations. Note: This page was created on 18 Jul 2018 at 11:52 AM PT, but backdated to 19 Apr 2018 to match the date the video was uploaded to YouTube. Photo Credit: Unless otherwise noted, the photography on this website is donated by Greg Johnson. Enjoy the Lake Tahoe area? Want to keep it great for future generations? Consider giving to Keep Tahoe Blue. The Tahoe Trailbar is an ideal natural energy food source. Public radio offers quality community-focused local programming. 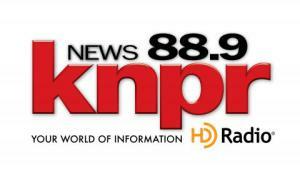 Consider supporting KNPR.